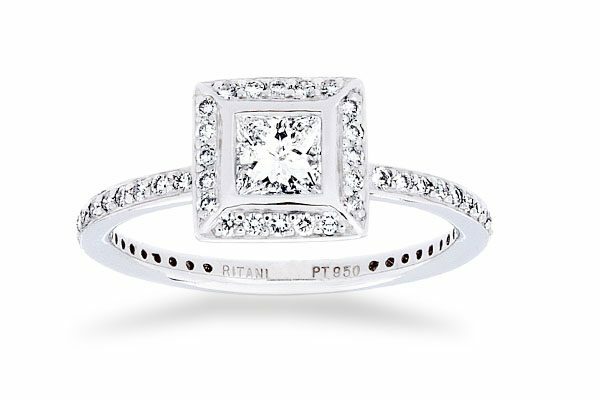 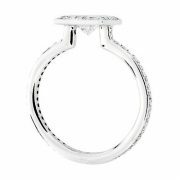 Beautiful designer Ritani ® crafted platinum Halo diamond engagement ring. 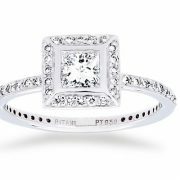 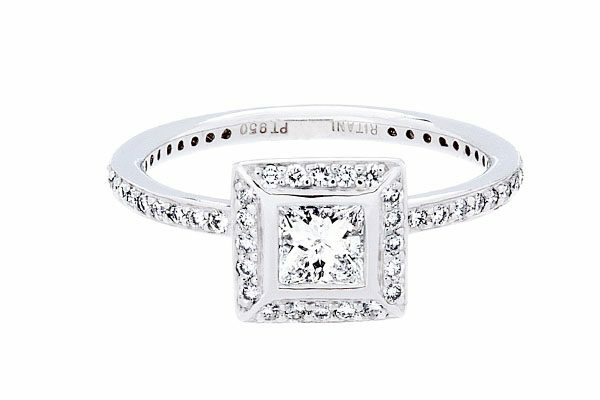 Ring contains a 3/4 Princess cut genuine diamond graded at VS clarity and H color. 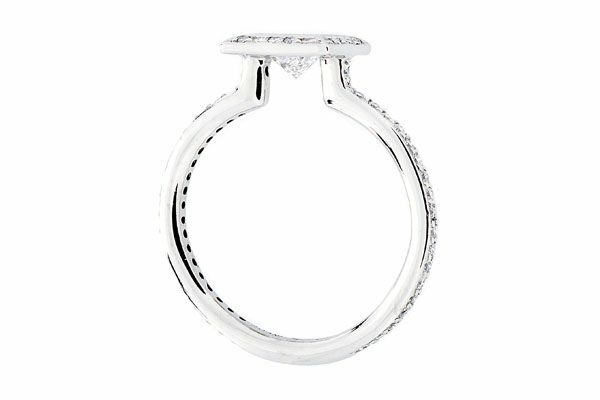 The total diamond weight is 1.20 carats.